When it comes to corporate disasters, the thought of Boeing may be on the mind of many investors. 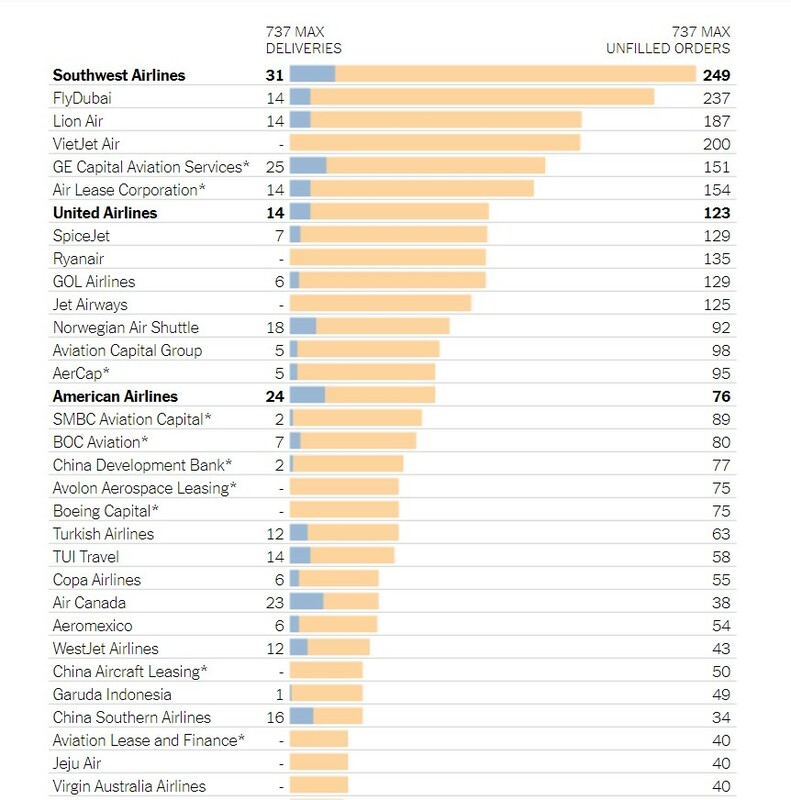 Boeing’s brand-new fleet of 737 Max aircraft was grounded in over 40 countries after a deadly plane crash in Ethiopia, the second 737 Max to go down in five months, according to The New York Times. “There’s no hard evidence that the planes have anything wrong with them, but similarities between the two crashes caused widespread concern among aviation officials (and passengers) around the world. The stock has sold off on this news. This isn’t the first time Boeing (NYSE: BA) has faced a problem that involved grounding of its planes. “Boeing’s Dreamliner was grounded in 2013,” The New York Times noted and “it took more than $20 million and three months to fix the problem. The crisis over its 737 Max jet could be even harder to manage, given the incalculable reputational risk after two fatal crashes. The short-term costs such as a software fix to the plane are likely to be manageable for Boeing, but the bigger financial unknown is whether airlines lose confidence in the Max, the company’s best-selling jet. Some 4,600 planes are on order, accounting for around $550 billion in future revenue. A partial list of customers is shown below. “Reputationally and financially, this is painful,” said Richard Aboulafia, vice president of analysis at Teal Group Corp., a consulting firm. With all of the Max planes now grounded around the world, Boeing’s first priority is developing a fix. Boeing has been working with American regulators to roll out a software update and new training guidelines in the months since the first crash, off Indonesia in October. The update is expected by April, but a final solution could take more time depending on what investigators determine happened in the Ethiopia disaster. The longer it takes to find a solution, the higher the price tag. The battery fix for the Dreamliner jets amounted to $465,000 per plane, according to Carter Copeland, an analyst at Melius Research. Based on those costs, he estimates that Boeing could spend nearly $1 billion to resolve issues with the 737 Max fleet. Airlines, which have 350 of the planes in their fleets, have also begun to demand compensation for their losses during the grounding. It costs an estimated $1 million to lease a replacement jet for three months. Boeing could also face lawsuits from the families of passengers who died in the disasters. The Dreamliner had battery problems but never crashed. A company the size of Boeing will probably be able to absorb such costs. Boeing, an aerospace giant that builds commercial and military aircraft, makes more than $100 billion in revenue a year. The bigger challenge for Boeing is how it will handle future orders. If deliveries are delayed because the plane needs to be redesigned, the manufacturer is likely to have to offer discounts to carriers with orders. There is also a broader risk that, if the passenger backlash to the Max lasts, the manufacturer could lose some corporate customers in the long run. Such a shift would give an advantage to its European rival Airbus, which makes a similar fuel-efficient plane, the A320neo. But it’s unlikely that airlines will cancel their Max purchases outright. Carriers typically put down a deposit of around 20 percent for their orders on the $120 million plane, which is paid out over time. It can be difficult to get out of those commitments without solid evidence that there’s a structural problem with the aircraft, airline executives and analysts said. Even if customers could walk away from their Boeing orders without losing money, they probably wouldn’t. The aircraft manufacturing business is essentially a global duopoly. And Airbus has a yearslong backlog. “I don’t think anyone will abandon them,” said Jonathan G. Ornstein, the chief executive of Mesa Airlines, who operated a fleet of 737s in his previous role at the helm of Virgin Express, a European airline. Mr. Ornstein called Boeing “customer-centric” and said he expected that the company would bend over backward to maintain its rapport with carriers. Looking back, it illustrates how even dire news can eventually fade. There was no mention that the plane was coming off two deadly crashes during its first full year of service. In January 1989, a British Midland plane crash-landed onto a highway embankment, killing 47 of 126 aboard. That September, a USAir flight skidded off a LaGuardia airport runway into the East River of New York, killing two of 63. Six months after the second accident, Boeing stock was 20% higher. Both crashes involved pilot error linked in part to unfamiliarity with the 737-400, but both also resulted in the company making changes to the plane. That incident is now lost in the chart. The same pattern could repeat itself. Boeing is unlikely to go out of business as one of the world’s few suppliers of aircraft. That means the stock could be worth watching as a potential buy in the coming weeks or months.